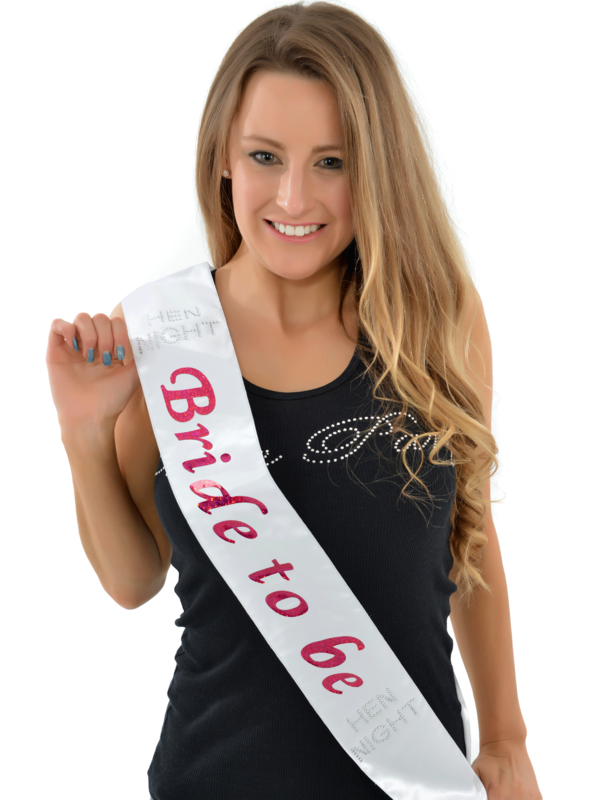 Make the bride feel special and look fantastic in the luxury Bride To Be Sash. There are lots of sashes out there but this sash range we honestly believe is the best quality you can find. Showing our 6 White Bride To Be Sash reviews with an average rating of Excellent. Would you like to write a review? Product came exactly as ordered. Very prompt delivery to Ireland. Very happy with the overall order. I found the Bride sash excellent quality, value for money, a great fit for all sizes, prompt delivery and Lauren was extremely helpful and accomodating. I would definitely purchase from this company again. Highly recommend. The Bride loved them. Thank you so much! I found the Bride sash excellent quality, value for money, a great fit, prompt delivery and Lauren was extremely helpful and accomodating. I would definitely purchase from this company again. Highly recommend. The Bride loved it. Thank you so much! Very pleased with my sash & arrived very quick. Would recommend as value for money.